Unreachable by man, scientists have developed a complex experiment to demonstrate the heat and pressure at the centre of the Earth. The Earth's core is a dense ball of iron and nickel. To recreate the conditions of the Earth's core, scientists developed a hydrogen gas gun. The hydrogen gas gun emulates the pressure of the centre of the Earth on an iron projectile. 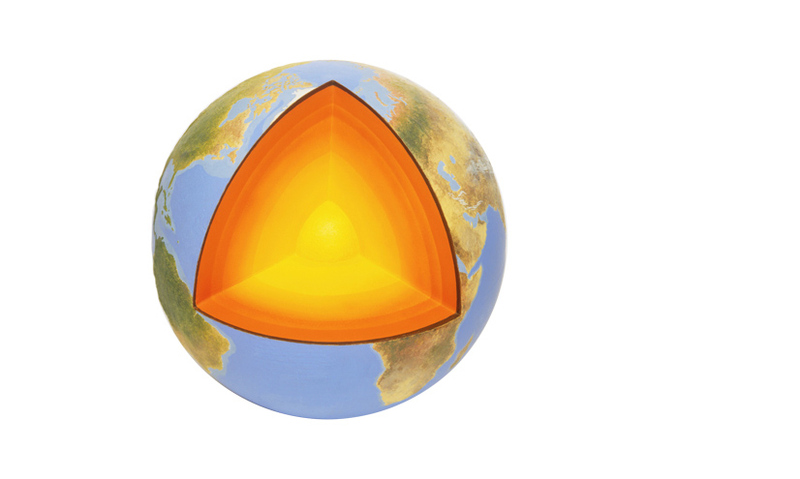 Scientists measure the heat at the point of impact, revealing the Earth's core to be at least 6200 degrees centigrade. The Earth's core is a mysterious place. About 2900km below the planet's surface, the core is a dense ball of iron and nickel. As the Earth rotates, the molten outer core spins around the solid inner core, causing the Earth's magnetic field.